The Chain Pin Extractor from Renold Jeffrey is a quick and easy way to cut chain. Cutting a wedge riveted chain means having to grind off the pin head and then hammer the pin through the plates. That's too much time and effort. Renold Blue and Renold Synergy roller chain have an end-softened pin with a spin, or round, rivet. You can cut the chain by hand in moments, with no mess. Renold Jeffrey makes it easy. Order your Chain Pin Extractor today! 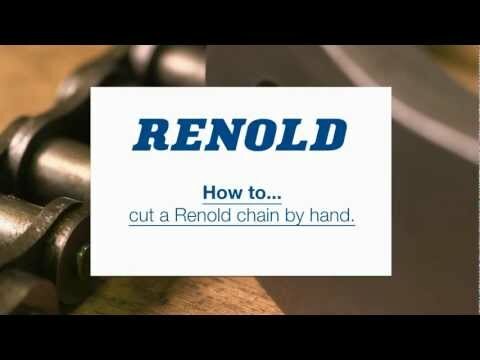 Renold Offer Both a Premium and Standard Chain Wear Guide. The Standard Chain Wear Guide is Free and Available Now. ROLL-RING® is a Simple and Innovative Chain Tensioner.